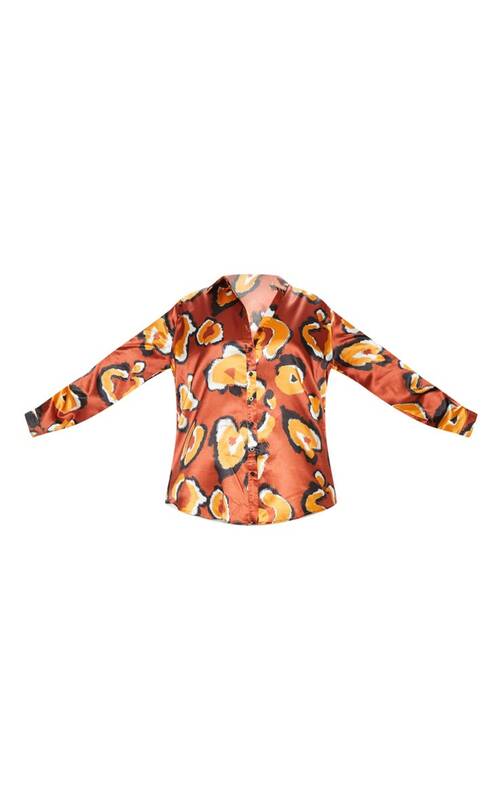 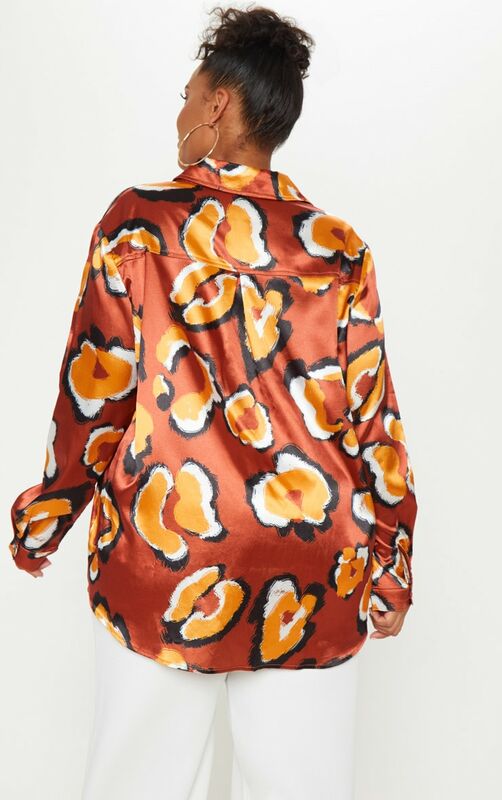 This dreamy shirt is everything we are loving and more. 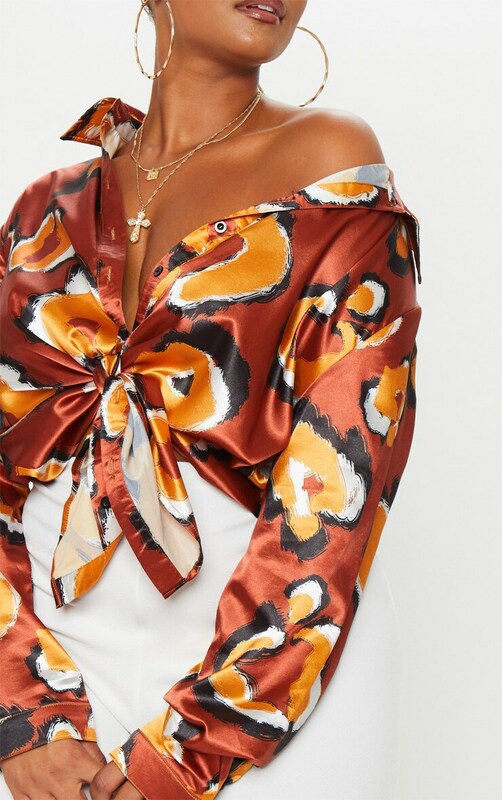 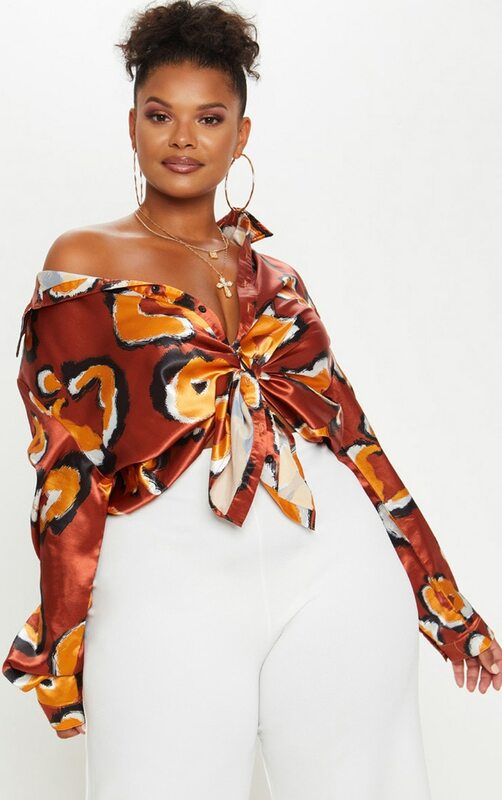 It features a bang on trend rust satin fabric with an all over printed design, we love this knotted and draped over one shoulder. 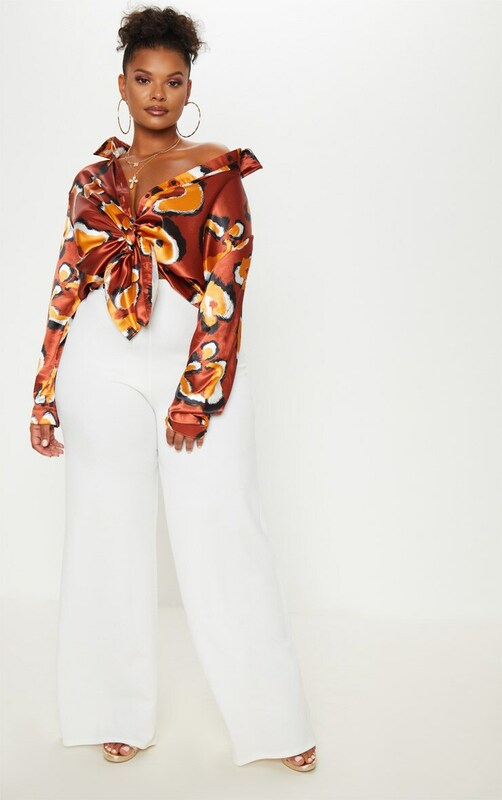 Style with high waisted pants and complete the look with heels.